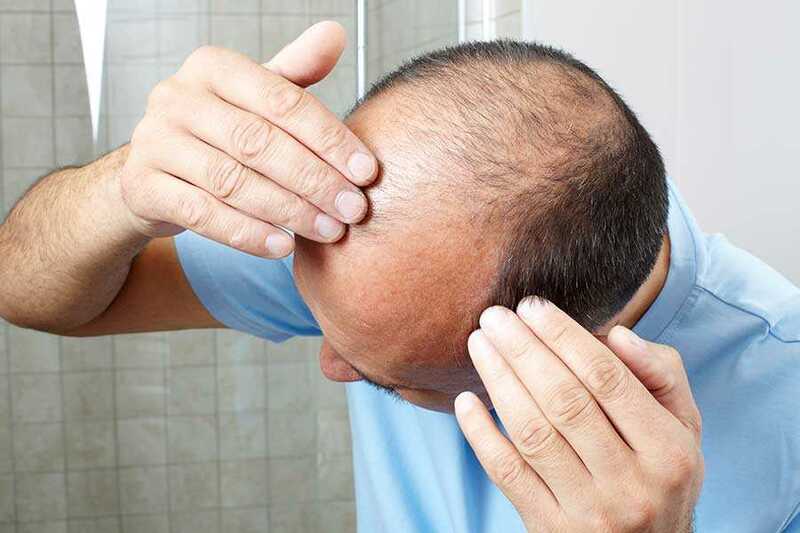 According to the Journal of Clinical Oncology, researchers have discovered a link between a specific type of male pattern balding and prostate cancer in patients who first suffered hair loss around the age of 45. The study found that, of 39,000 men asked to recall their hair loss at around age 45, 40% of those had an increased risk of developing aggressive prostate cancer in older age. Male pattern balding, also known as Androgenic Alopecia is a condition resulting in hair loss from the crown of the head (usually starting with a receding hair line) and sometimes additionally from the temples. The condition unfortunately, is genetic and irreversible and affects around 6.5 million men in the UK. The kind of baldness defined in the study as relating to aggressive prostate cancer is ‘frontal plus moderate vertex baldness,’ which on the Norwood-Hamilton scale is classified as a grade V or VI. This kind of balding is not linked at all to non-aggressive prostate cancer. Male pattern baldness and cancer: should I be worried? As with any case, if you are worried about illness, ailment or your family’s pathological history, consult your GP. It’s important to note that this new confirmed link in the research does in no way mean that those who suffer from baldness are definitely predisposed to suffer from cancer also. The research is also based on these patients’ own recollections of how their male pattern baldness began which in itself could be unreliable on some level. If you have any concerns about hair loss and your general health, speak to your GP first. For issues about hair loss and restoration, speaking to a qualified hair restoration specialist or trichologist can help you consider your options. Established in 1975, the Wimpole Clinic holds a wealth of expertise in the field of hair loss and hair restoration including hair and beard transplant. We offer a free no-obligation consultation where you can have a definitive assessment of hair loss and your option so get in touch.